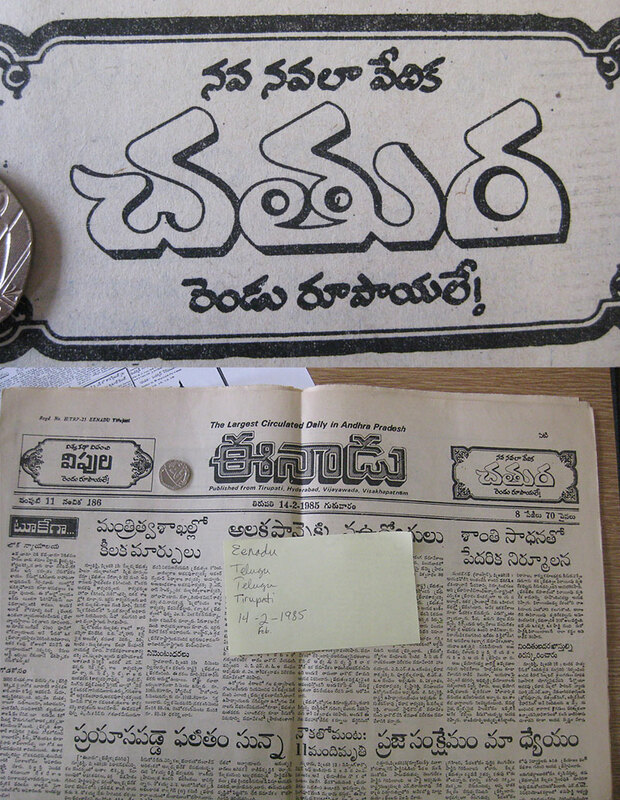 Eenadu newspaper, Feb 2, 1985. From the University of Reading non-Latin newspaper collection. Now a very colorful newspaper, Eenadu, the popular Telugu daily, was once black and white, with limited typeface choices and hand-lettered advertisements. Hi! I’m so glad to have discovered your blog via studio sweet studio. Katari is gorgeous. I’d love to see these hand-lettered advertisements you mention.